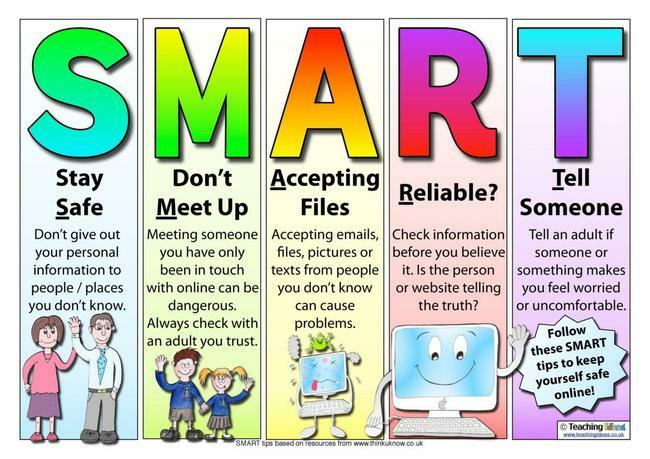 At St. Brigid’ Primary School / Bunscoil Naomh Brid, we believe that educating our children about being safe on-line is very important. As part of our ICT curriculum, children learn how to identify some of the risks they may encounter when on-line, and what to do to keep themselves safe. On Tuesday 6th February 2018 we will celebrate Safer Internet Day. The theme is ‘Create, Connect and Share Respect: A better internet starts with you’. In our lessons we will discuss and learn how to stay safe online. We will look at the advantages and disadvantages of the internet. We will acknowledge the fact that all users of the internet are different and discuss how we can support each other and who we can turn to if we see something that is offensive or unkind to ourselves or others. At St. Brigid’s PS / Bunscoil Naomh Brid we aim to equip our children with the skills, resilience, knowledge and support they need to navigate any online risks they may face now or in the future. We will be running poster and colouring competitions to mark the date. We teach the children to be SMART when using the internet.